Here's simple and inexpensive way to connect your computer, iPod, or other portable music device to your amp or receiver. Look closely at the picture you'll see two RCA stereo connections and one 3.5mm connector that has two black stripes on the input pin. 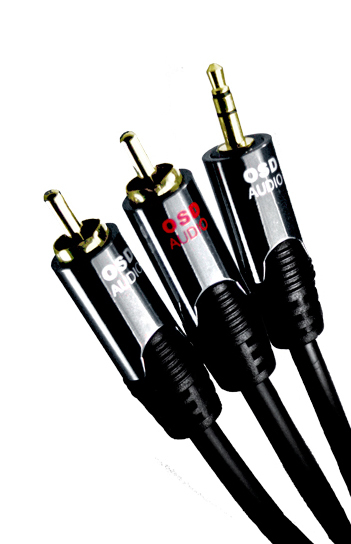 Simply connect the RCA inputs to the standard right and left RCA inputs on your amplifier or receiver. Connect the 3.5mm input to your iPod, computer, etc. The input is typically listed as Audio, AUX or Headphone. It's that easy! 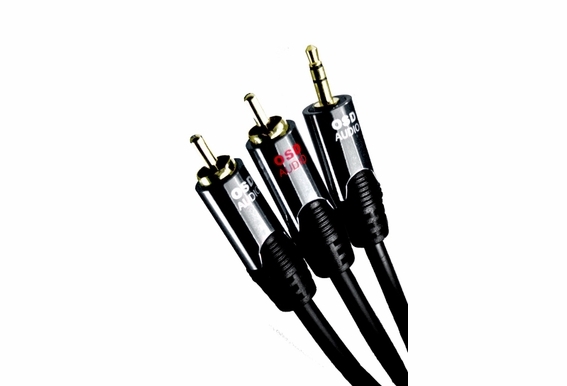 Although this RCA adapter cable is less expensive than competing brands, we guarantee that it will perform as well or better. Advanced engineering methods and the highest-quality materials reduce noise and interference and deliver cleaner, natural, more accurate sound from your components.